Heechul H. Park, Esq. is a NY and NJ licensed attorney and a certified Neuro-Linguistic Programming (NLP) practitioner. Before joining Klee Woolf Goldman & Filpi in 2016, he worked for several law firms in NY and NJ handling a wide range of legal issues. He has been involved with advising several corporations regarding the U.S. corporate law and labor law, has handled multiple personal injuries and commercial litigations and real estate transactions. A graduate of Vermont Law School, he now concentrates in Workers' Compensation and Social Security law with an interest to help injured workers. Heechul has successfully represented clients at both the New York State Workers Compensation Board and Social Security Administration. 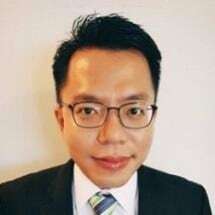 Fluent in Korean and conversation in Mandarin, Heechul adds a unique skill to Klee Woolf Goldman & Filpi to develop client-oriented attitude in his work and understands how to satisfy his clients. Certified Neuro-Linguistic Programming (NLP) practitioner.